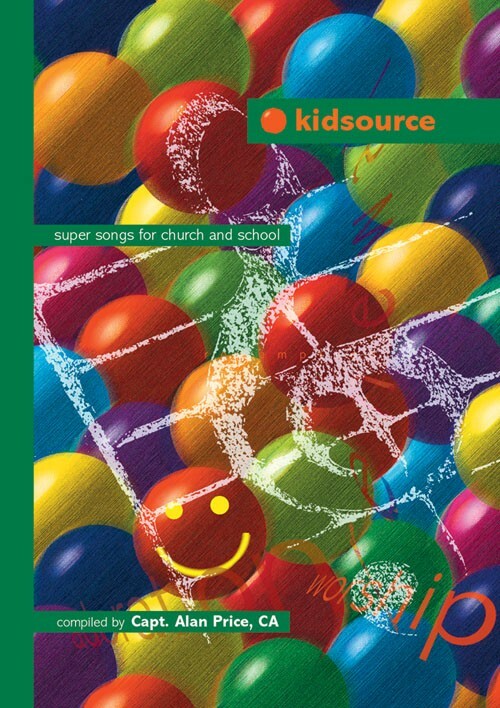 Our customers loved 'kidsource', our collection of praise and worship songs for children selected by the unique and effervescent Captain Alan Price, so much that we are adding to their joy by publishing its successor, 'kidsource 2'. You'll find 806 fabu­lous songs here by such favour­ite writers as Doug Horley, Ishmael, Sammy Horner, Richard Hubbard, Paul Field, Ian White and Captain Alan himself. Alongside these are a signifi­cant number of contri­­butions from 'adult' praise and worship songwriters. 'kidsource 2' has 406 songs. All the songs in 'kidsource' and 'kidsource 2' are set in keys suit­able for young voices; there is a multiplicity of indexes, in­cluding a Key Word Cross Reference index, making the selection of songs as straight­­­forward as possible. The Combined Words edition con­tains the complete words for all 806 hymns and songs in 'kidsource' and 'kidsource 2', in a user­­-friendly typeface. Casebound. Kidsource Combined Words was published by Kevin Mayhew in February 2002 and is our 10783rd best seller. The ISBN for Kidsource Combined Words is 9781840038446. Be the first to review Kidsource Combined Words! Got a question? No problem! Just click here to ask us about Kidsource Combined Words.